Making a difference for the environment doesn’t have to be time-consuming. The World Wildlife Fund’s (WWF) annual event known as Earth Hour proves that you can help our planet within just 60 minutes. Earth Hour was organized by the Australian branch of the WWF. The event began with just one city, Sydney. On March 31, 2007, 2.2 million people turned off their lights from 7:30 pm to 8:30 pm. With Earth Hour, Sydney experienced over 10 percent decrease in the city’s energy consumption (this is the equivalent to 48,000 cars being taken off the road). Within a few weeks, cities around the world took interest and made this practice a global event. Earth Hour 2014 marks the eighth year of this “green” event. It’s now known as “the world’s largest voluntary act for the environment” with over 6,950 cities in 152 countries pledging to turn off their lights for one hour. Some well-known cities and landmarks have participated including New York, Toronto, Rome, Beijing, the Las Vegas Strip, the Eiffel Tower in Paris, Buckingham Palace in London, and so many more. Join this worldwide event by turning off your lights on Saturday, March 29, 2014, from 8:30 pm to 9:30 pm. Get your friends, family, coworkers, or classmates in on the environmental event as well. 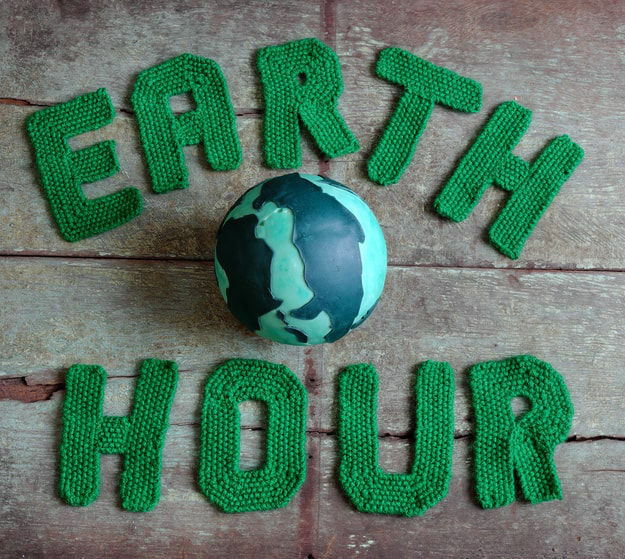 Earthhour.org lists helpful suggestions for creating an Earth Hour event for your business, community group, school, or religious organization. The website also offers other tools like posters, videos, and other downloads. While Earth Hour only lasts for 60 minutes every year, the World Wildlife Fund hopes that this will inspire you to make a change in your daily life. The second part of their campaign is called, “How will you go beyond the hour?” It has started a trend on YouTube in which people create “I Will If You Will” videos, daring themselves and others to make an environmental change to their usual routine.